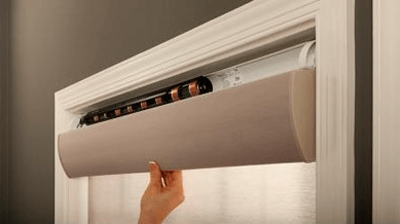 This limited warranty (“Warranty”) covers the Lutron supplied (a) Serena™ Shades, (b) Sivoia Shade Systems (“Sivoia Shade Systems”), (c) manual shade system and (d) alternating current or a/c shade system (each of the foregoing being a “System”). Customer acknowledges and agrees that use of the System constitutes acceptance of all terms and conditions of this Warranty. Replacement parts for the System provided by Lutron or, at its sole discretion, an approved vendor may be new, used, repaired, reconditioned, and/or made by a different manufacturer. This Warranty will be void, and Lutron and its suppliers will have no responsibility under this Warranty, if Lutron or its representatives cannot access any components of the System to inspect, diagnose problems with or repair the System or any of its components as a result of concealment or inaccessibility of such components within a building structure. Damage, malfunction or inoperability diagnosed by Lutron or a Lutron approved third party as caused by normal wear and tear, abuse, misuse, incorrect installation, neglect, accident, interference or environmental factors, such as (a) use of incorrect line voltages fuses or circuit breakers; (b) failure to install, maintain and operate the System pursuant to the operating instructions provided by Lutron and the applicable provisions of the National Electrical Code and of the Safety Standards of Underwriter's Laboratories; (c) use of incompatible devices or accessories; (d) improper or insufficient ventilation; (e) unauthorized repairs or adjustments or alterations; (f) vandalism; (g) an act of God, such as fire, lightning, flooding, tornado, earthquake, hurricane or other problems beyond Lutron’s control; or (h) direct exposure to corrosive materials. On-site labor costs to diagnose issues with, and remove, repair, replace, adjust, reinstall and/or reprogram the System or any of its components. Components and equipment external to the System, such as, non-Lutron lighting and automation systems; building wiring audio-visual equipment; and non-Lutron time clocks, photosensors and motion detectors. The cost of repairing or replacing other property that is damaged when any System does not work properly, even if the damage was caused by the System. THIS WARRANTY IS IN LIEU OF ALL OTHER EXPRESS WARRANTIES. ALL IMPLIED WARRANTIES, INCLUDING THE IMPLIED WARRANTIES OF MERCHANTABILITY AND OF FITNESS FOR A PARTICULAR PURPOSE, ARE LIMITED TO EIGHT YEARS FROM THE DATE OF SHIPMENT, EXCEPT THAT SUCH IMPLIED WARRANTIES ARE LIMITED TO ONE YEAR FROM THE DATE OF SHIPMENT AS TO THE EXTERNAL COMPONENTS. NO LUTRON AGENT, EMPLOYEE OR REPRESENTATIVE HAS ANY AUTHORITY TO BIND LUTRON TO ANY AFFIRMATION, REPRESENTATION OR WARRANTY CONCERNING THE SYSTEMS. UNLESS AN AFFIRMATION, REPRESENTATION OR WARRANTY MADE BY AN AGENT, EMPLOYEE OR REPRESENTATIVE IS SPECIFICALLY INCLUDED HEREIN, OR IN STANDARD PRINTED MATERIALS PROVIDED BY LUTRON, IT DOES NOT FORM A PART OF THE BASIS OF ANY BARGAIN BETWEEN LUTRON AND CUSTOMER AND WILL NOT IN ANY WAY BE ENFORCEABLE BY CUSTOMER. IN NO EVENT WILL LUTRON OR ANY OTHER PARTY BE LIABLE FOR EXEMPLARY, CONSEQUENTIAL, INCIDENTAL OR SPECIAL DAMAGES (INCLUDING, BUT NOT LIMITED TO DAMAGES FOR PERSONAL INJURY, FAILURE TO MEET ANY DUTY, INCLUDING OF GOOD FAITH OR REASONABLE CARE, NEGLIGENCE, OR ANY OTHER LOSS WHATSOEVER), NOR FOR ANY REPAIR WORK UNDERTAKEN WITHOUT LUTRON’S PRIOR WRITTEN CONSENT ARISING OUT OF OR IN ANY WAY RELATED TO THE INSTALLATION, DEINSTALLATION, USE OF OR INABILITY TO USE THE SYSTEM OR OTHERWISE UNDER OR IN CONNECTION WITH ANY PROVISION OF THIS WARRANTY, EVEN IN THE EVENT OF THE FAULT, TORT (INCLUDING NEGLIGENCE), STRICT LIABILITY, BREACH OF CONTRACT OR BREACH OF WARRANTY OF LUTRON OR ANY OTHER PARTY, AND EVEN IF LUTRON OR SUCH OTHER PARTY WAS ADVISED OF THE POSSIBILITY OF SUCH DAMAGES. NOTWITHSTANDING ANY DAMAGES THAT CUSTOMER MIGHT INCUR FOR ANY REASON WHATSOEVER (INCLUDING, WITHOUT LIMITATION, ALL DIRECT DAMAGES AND ALL DAMAGES LISTED ABOVE), THE ENTIRE LIABILITY OF LUTRON AND OF ALL OTHER PARTIES UNDER THIS WARRANTY ON ANY CLAIM FOR DAMAGES ARISING OUT OF OR IN CONNECTION WITH THE MANUFACTURE, SALE, INSTALLATION, DELIVERY, USE, REPAIR, OR REPLACEMENT OF THE SYSTEM, AND CUSTOMER'S SOLE REMEDY FOR THE FOREGOING, WILL BE LIMITED TO THE AMOUNT PAID BY CUSTOMER FOR THE SYSTEM. THE FOREGOING LIMITATIONS, EXCLUSIONS AND DISCLAIMERS WILL APPLY TO THE MAXIMUM EXTENT ALLOWED BY APPLICABLE LAW, EVEN IF ANY REMEDY FAILS ITS ESSENTIAL PURPOSE. THIS WARRANTY GIVES YOU SPECIFIC LEGAL RIGHTS. YOU MAY ALSO HAVE OTHER RIGHTS WHICH VARY FROM STATE TO STATE. SOME STATES DO NOT ALLOW LIMITATIONS ON HOW LONG AN IMPLIED WARRANTY LASTS OR THE EXCLUSION OR LIMITATION OF INCIDENTAL OR CONSEQUENTIAL DAMAGES, SO THE ABOVE LIMITATIONS OR EXCLUSIONS MAY NOT APPLY TO YOU. Contact the Lutron Technical Support Center at the numbers provided below or your local Lutron sales representative with questions concerning the installation or operation of the System or this Warranty, or to make a warranty claim. Please provide the exact model number when calling.